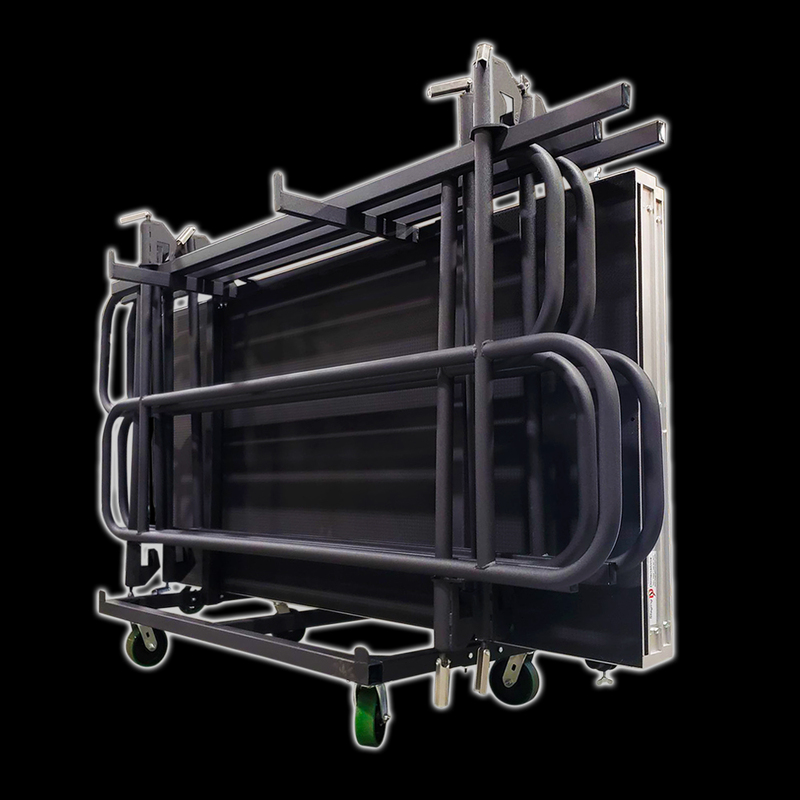 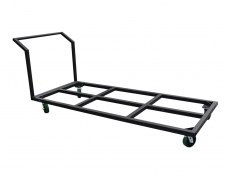 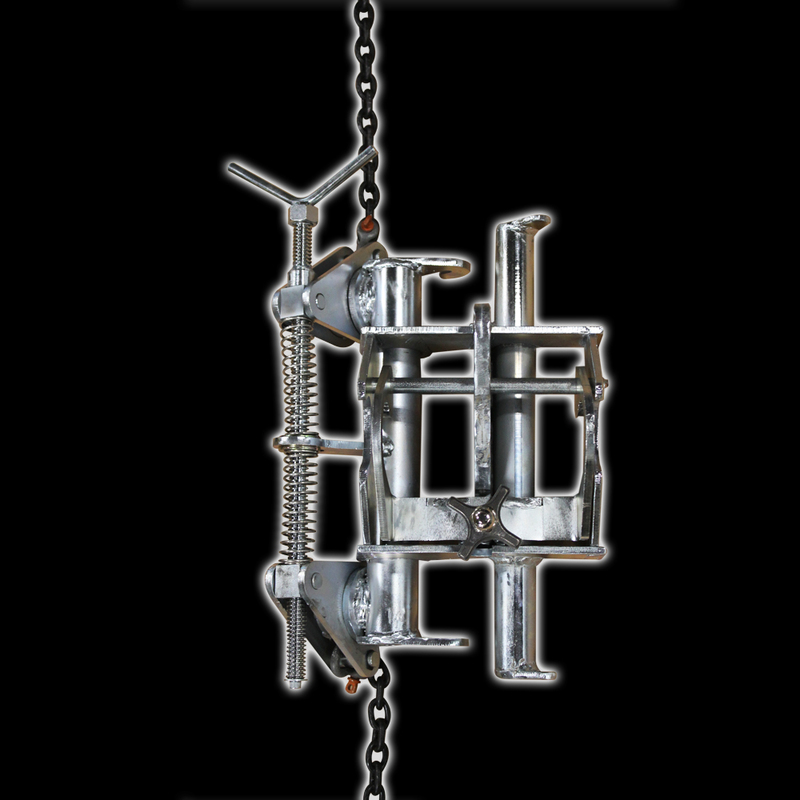 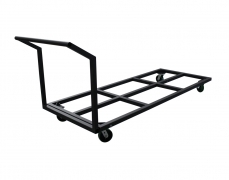 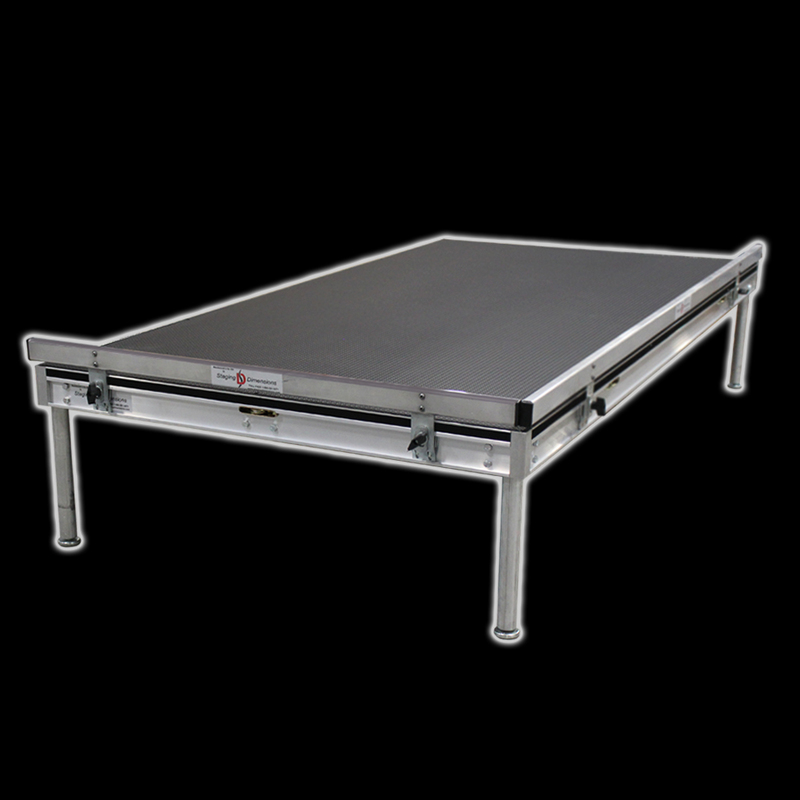 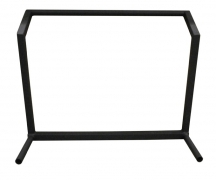 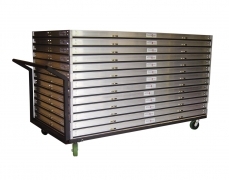 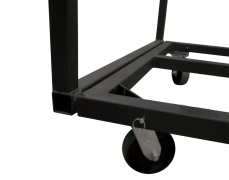 Flat cart construction consists of a 2" x 2" welded steel frame base. 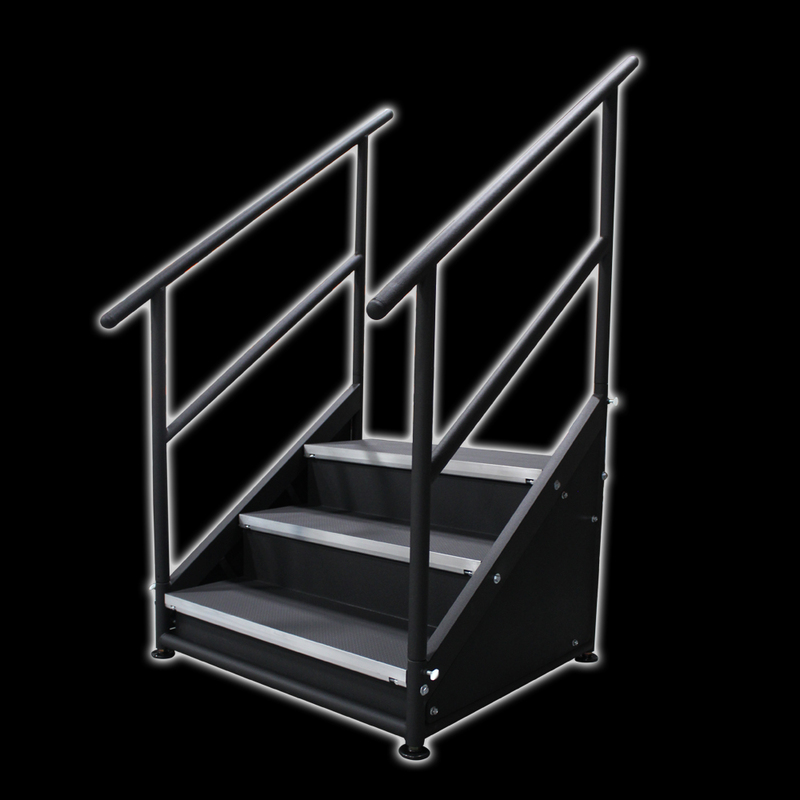 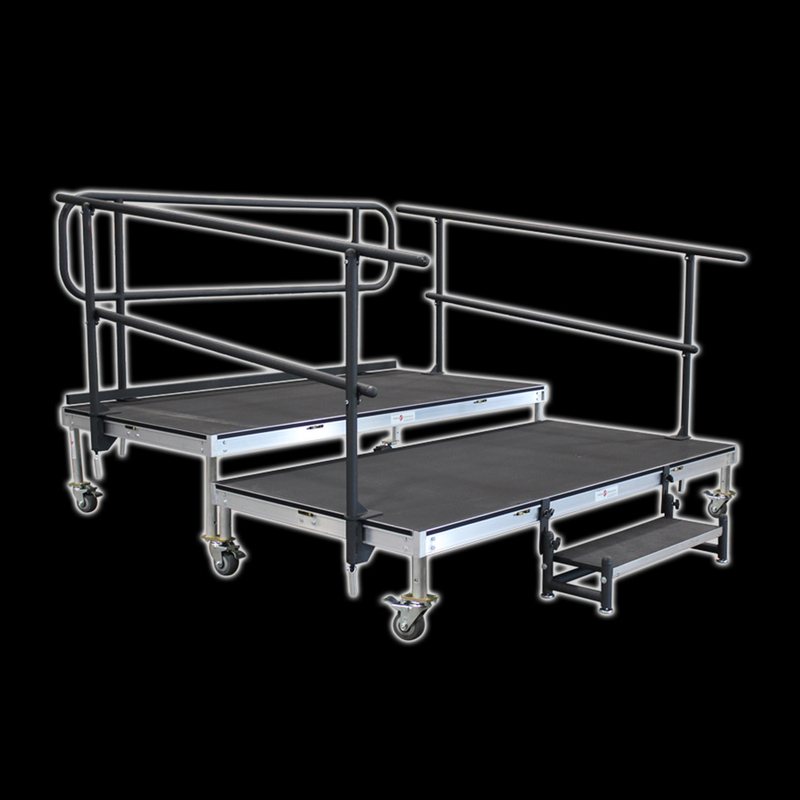 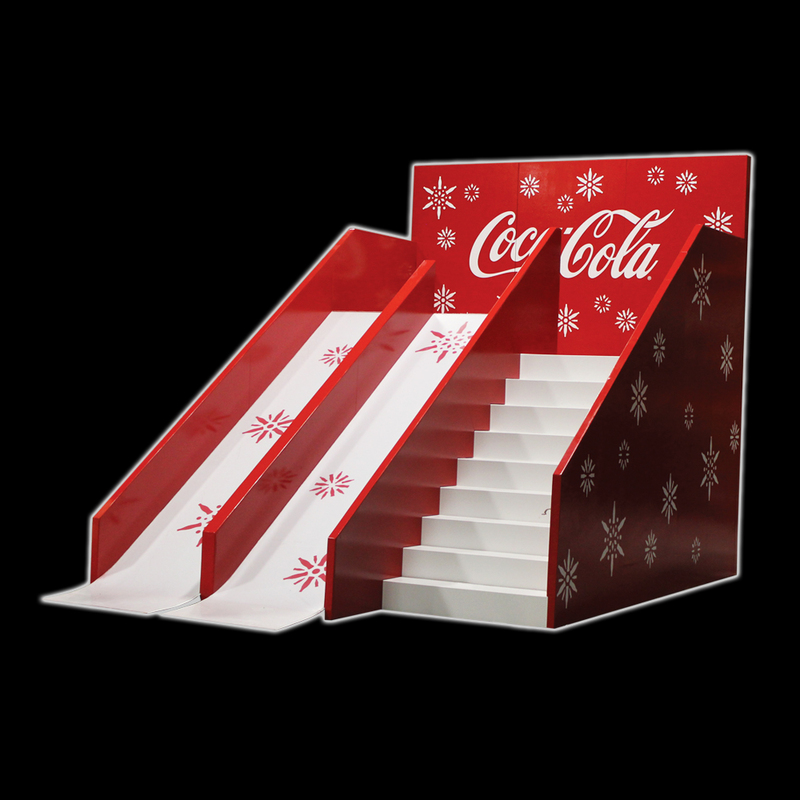 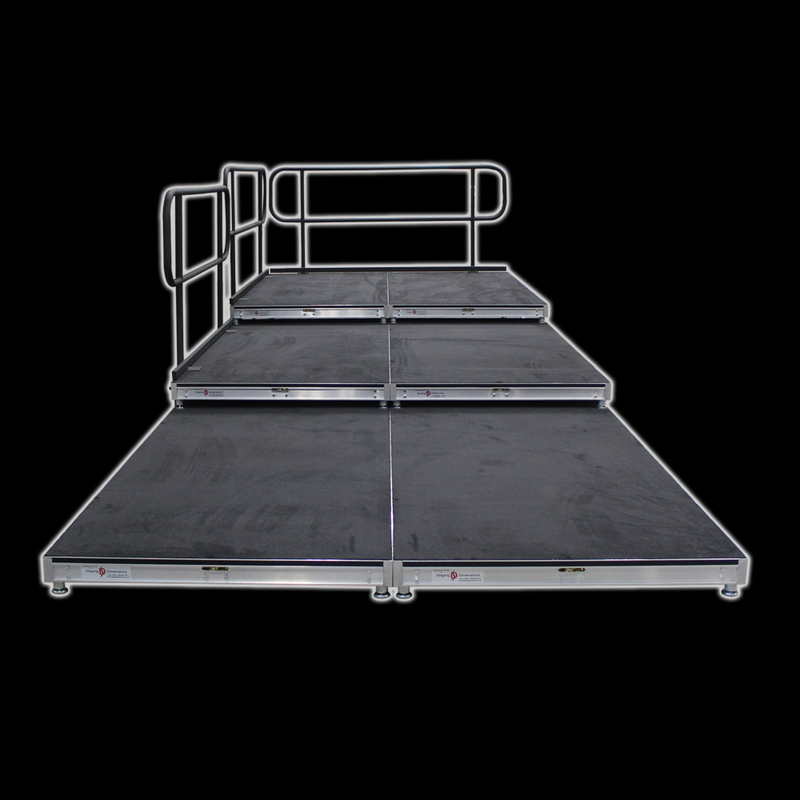 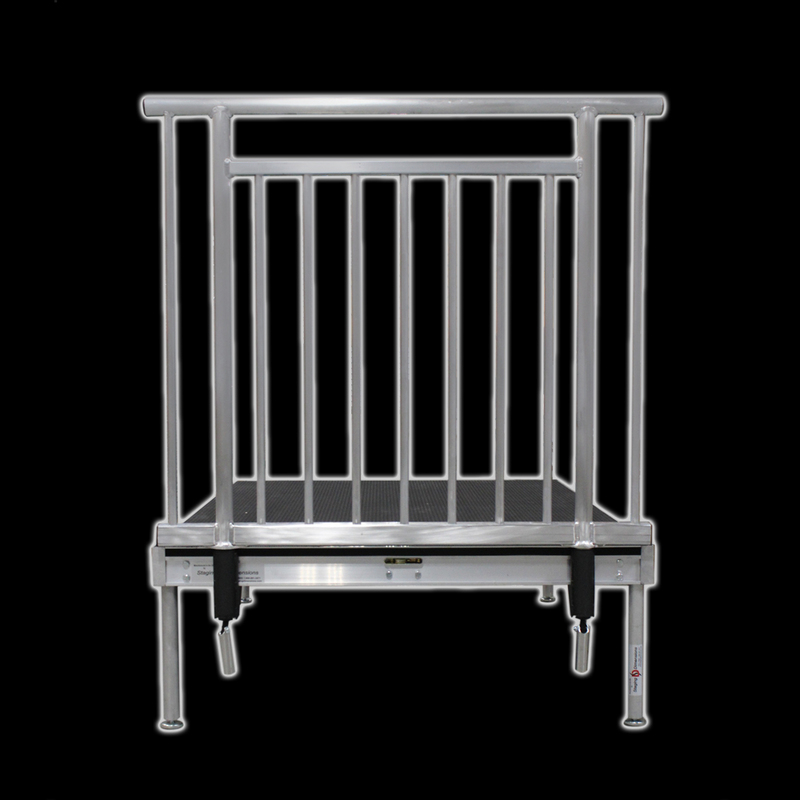 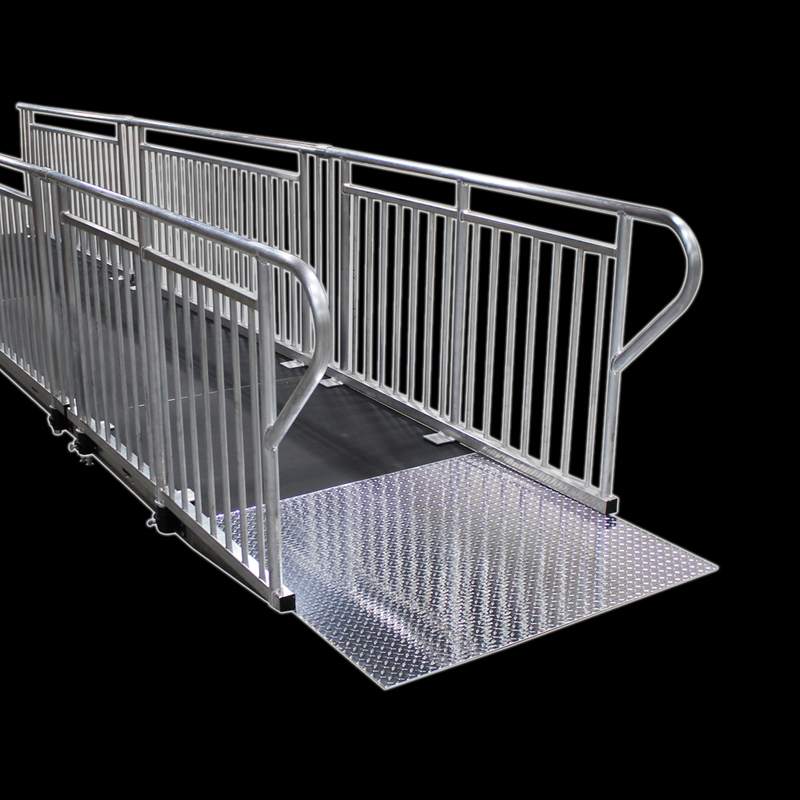 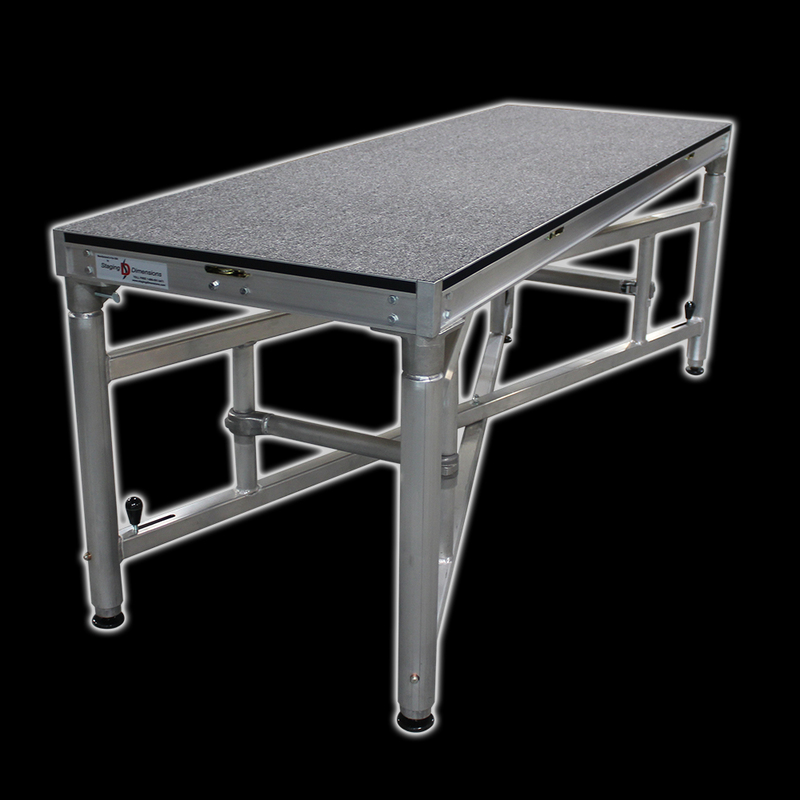 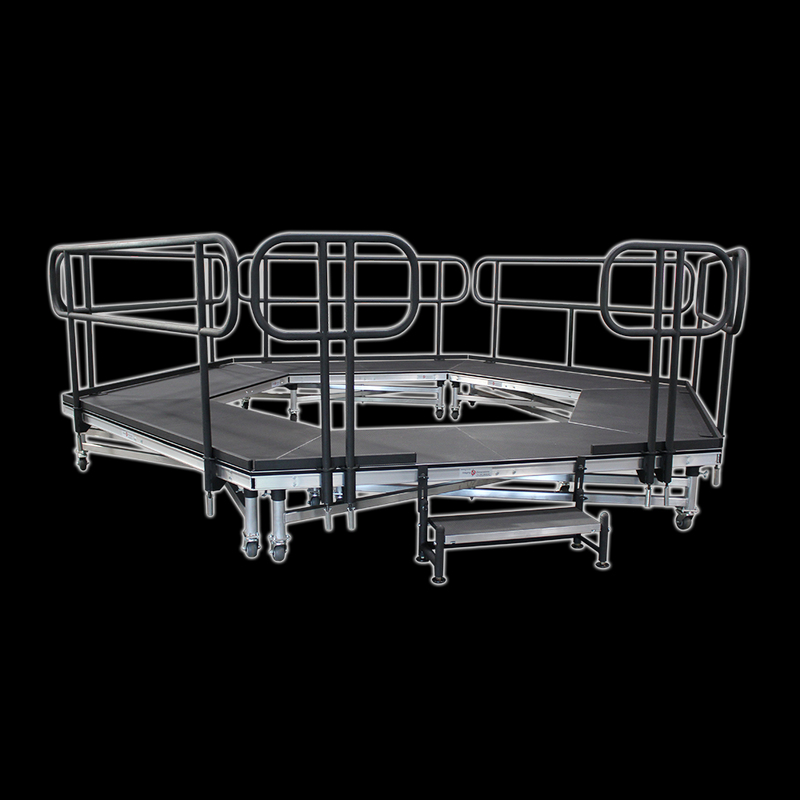 Flat cart capacity includes (15) 4' x 8' decks, 8-10 stair units and 10-12 Wunderstructures or guardrails. 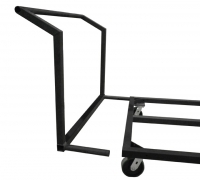 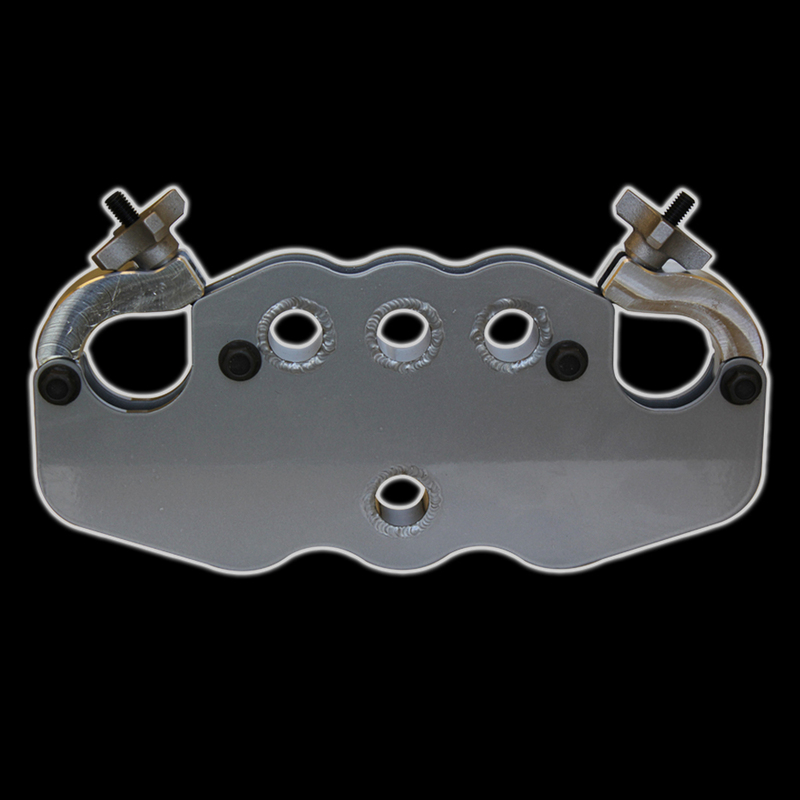 The handle is removable for convenient truck pack and options including fixed or swivel casters and forklift channels are available.